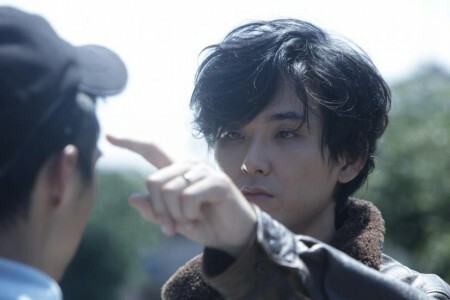 Kiiyoshi Kurosawa is best known for his superb modern horror films, especially his 1997 Cure and 2000 Pulse. 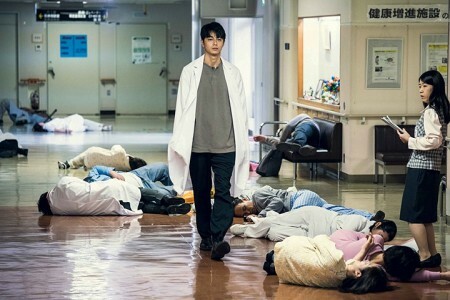 Reviewing the good but not quite so good one made in between, the ironically titled Bright Future , I wrote "Kurosawa like no other living director creates his own haunting and disturbing moods." He took a successful turn toward a more conventional family drama about a man ashamed of being out of work with his 2008 Tokyo Sonata. 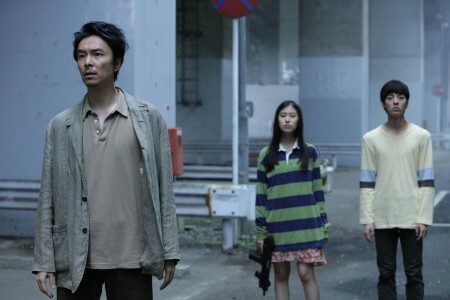 But in 2012 he came home in a new format, with a drawn-out but absorbing horror miniseries, "Penance", about murder and schoolgirls; its five episodes were shown in theaters and on Japanese TV; you can watch it online. Things have been uneven since then, as can happen with the prolific. Two overlong movies, Journey to the Shore and Daguerreotype (with Tahar Rahim, Olivier Gourmet, Mathieu Amalric, and Malik Zidi, all wsted, which I coudln't finish), came out in 2015 and 2016. But in between was the successful and more typical Creepy. The restored affection of Narumi and Shinji turns out to be the real unifying thread of a movie that instead of being primarily about alien invasion or apocalypse ends with a focus on the redeeming power of love. What helps this, perhaps the subtlest note, is that for a while we may imagine that maybe Shinji only thinks he's been invaded by an alien. He has, but this invasion turns out to be benign; the aliens are moved by what they find and change their minds. This is a hint of something dealt with in more detail in Nicolas Roeg's The Man Who Fell to Earth: the fact that life on earth can change a guy. Roeg's film meanders too, but it treats some of these themes more richly and, of course, has David Bowie. To do him justice, though, Ryuhei Matsuda looks rather like an alien too, at least from certain angles: perfect, but just a skosh off. Sometimes Sinji's questions sound like mockery of human politics and philosophy. He also starts insisting he is an alien, come as part of a takeover. He must absorb - like Invasion of the Body Snatchers , certain human concepts. He's not the only one to do this, and they do it by asking a few questions to get the person focused on an idea, and then touch their forehead, whereupon they generally collapse from the loss, which may be debilitating - or freeing. When Narumi's boss at work has his concept of work taken over, he and his colleagues merrily go about destroying the office. Before We Vanish/散歩する侵略者 (Sanpo suru shinryakusha), 129 mins., debuted at Cannes in May 2017; it was included in at least 14 other international festivals, including the New York Film Festival (30 Sept. 2017). Its US theatrical debut, from Super LTD, begins 2 Feb. 2018. It will show in New York atLincoln Center and IFC Center, and also in Los Angeles.